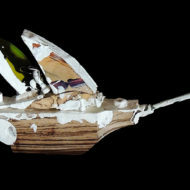 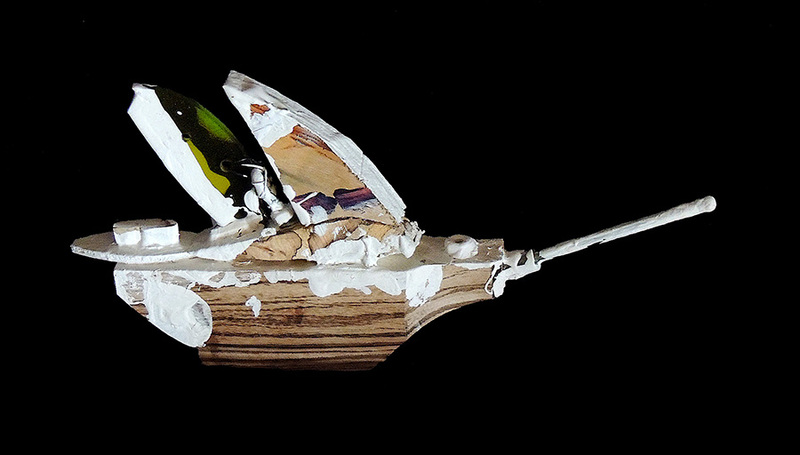 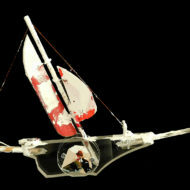 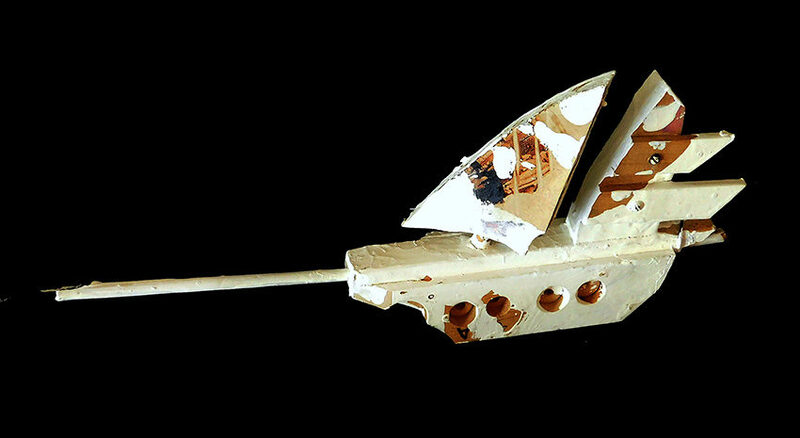 Noted Chicago artist Tom Robinson makes these wonderful boats from wood / paint / found objects, parts of older discarded sculptures and the remnants of his furniture making endeavors. 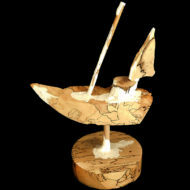 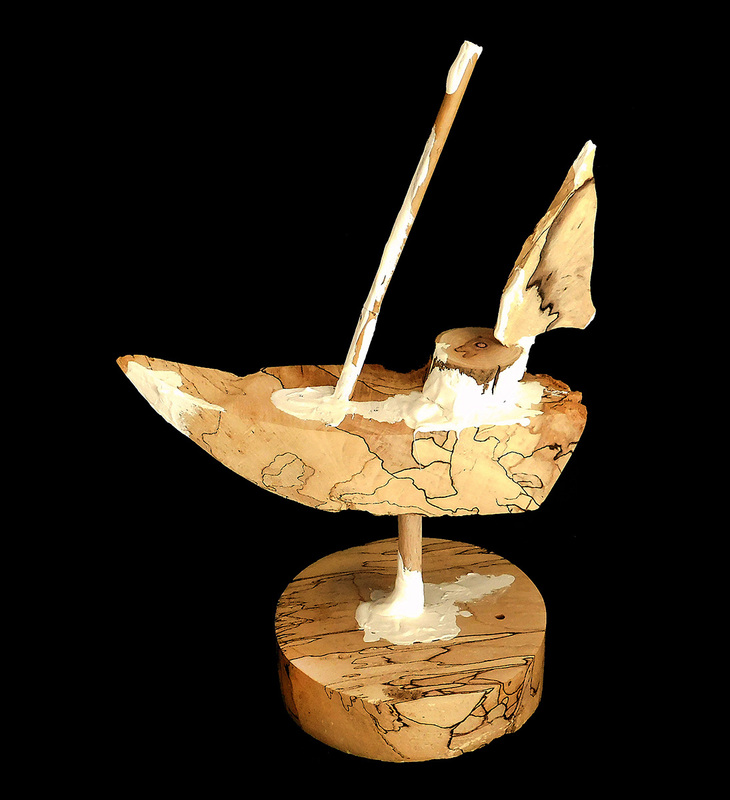 Originally he was inspired by Cy Twombly’s white sculptures, but carried his look into these wooden ships. 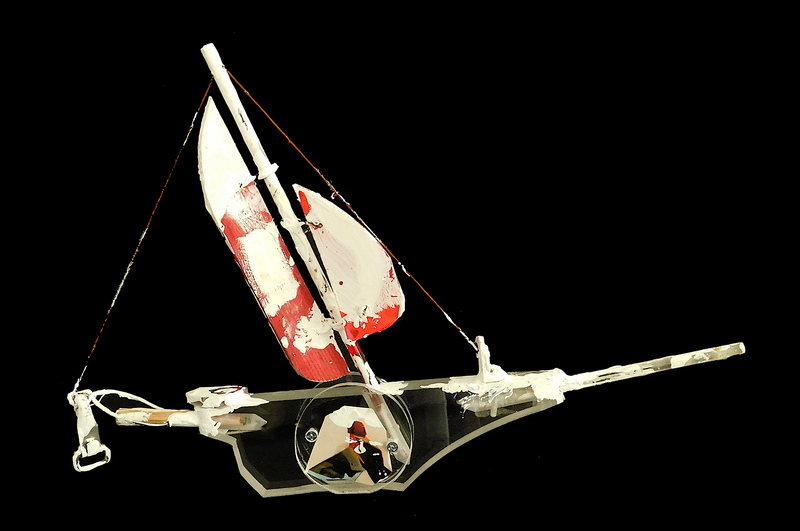 A dream like quality exudes from each one of them!